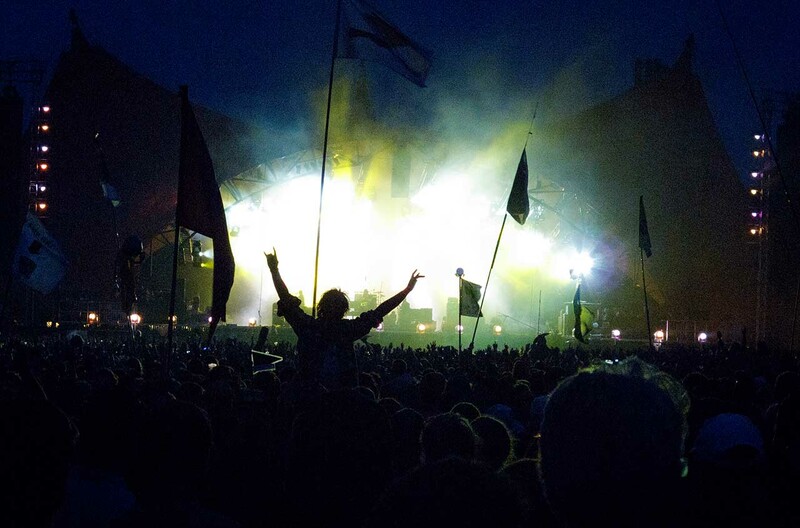 Il Roskilde festival represents the oldest and most important festival in all of Europe, second in size, only in English G. It takes place in the homonymous Danish town, about 30 minutes from the capital, Copenhagen. Over the years, the offer has expanded to modern independent music, jazz, electronics, world-music and many other musical genres. All he does business, today. And that fascination that the Festival once had, a little lost. Today, the Roskilde Festival is much more than music, food, art and celebration. It is a real celebration of freedom, cooperation and solidarity, with numerous "collateral" activities, moving from cinema to "performance-art". Precisely for this reason, every year, thousands of kids are ready to have fun and go wild in the small Danish town. Roskilde is a beautiful town in the east of Denmark, located on the island of Sjaelland, just 35 km away from Copenhagen. The ideal solution, therefore, is to arrive in the Danish capital, and, from here, move by train, or by bus. Many airlines connect the main European destinations with Copenhagen. from the airport, by train, you reach the railway station from which the Regional or IC trains to Roskilde leave rather frequently. In less than 30 minutes you can reach the railway station of the town; after 5 minutes of walking, the bus stop in Sygehuset. With the bus get off at Musicon and walk for about one km, reaching your destination: Roskilde Festivalplads St. The total cost will be 49 DKK. Once you reach Roskilde from Copenhagen Airport, a service is active throughout the festival Shuttle Bus within the city, in connection with the festival site. The shuttle costs 25 DKK approximately, and stops at Roskilde Station, Østergade and the East and West entrances of the Festival. Depart every 30 minutes, from 08: 00 to 15: 00. The first week of July, another bus is also operating that passes through the city center, the municipal swimming pool and several city areas. It works from 10: 00 to 16: 00, and costs 25DKK per person. From 03 July to 06 July, there is also a night bus that runs every half hour from Copenhagen to Roskilde Festival. The bus leaves from 24: 00 at 04: 00 from the Town Hall Square of the Capital. The ticket, which can be purchased by the driver, costs, however, well 85 DKK! For those arriving by car, or plan to hire one from Copenhagen, once you leave the airport, just take the E20 junction to Copenhagen, and then follow the signs Sj. Odde and then Roskilde. They are about 32 kilometers away. At your destination, there is ample parking available on site. The Festival Area is accessible from Saturday 29 June, starting from 16: 00. You can stay in the Campsite until Sunday 07 July, at 14: 00. The concerts are held exclusively for 4 days, from Thursday 03 to Sunday 06 July. The Cure, Robert Plant, Robyn, Travis Scott, Cardi B and, above all, the expected Bob Dylan, among the hot names of the 2019 edition of the Roskilde Festival. As usual, the line-up is rather varied. Just scroll through the list of names to realize it: Bring Me the Horizon, the former Pantera Philip Anselm, Cypress Hill, Testament, Tears For Fears, and many others. On the official website you can buy your ticket online for one of the four days of the festival. The ticket is valid for the chosen day 24 hours, from 08: 00 in the morning to 08: 00 the following day. The price for the single day is 995 Danish crowns (about 135 €) plus pre-sale fees. The FULL FESTIVAL TICKET is very advantageous. Costa 2100DKK (about 282 €) and is valid for all 8 days of the festival; it also includes free access to Roskilde Camping. The main problem is to be able to find available coupons, just a few months before the event! Tickets can be purchased on the official website within the 30 / 06 / 2019. At the Roskilde Festival, children aged over 15 can access unaccompanied. Children between 10 and 14 years, have access to reduced rates, but only if accompanied by a paying adult. The price is 450DKK for the single day and 1250 for the whole period. Tickets for children between 10 and 14 must be purchased on the spot. Children under the age of 10 enter free, accompanied by a paying adult.